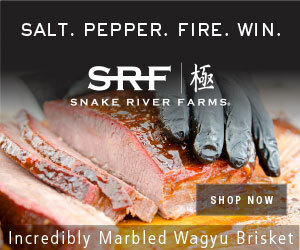 The original design of the Big Green Egg® traces its roots back over 3000 years, to ancient China. The Japanese adopted it, and called it “kamado,” which means oven, stove, heater, or fireplace. In the years following World War II, thousands of Americans in the military “discovered” the strange cooker and brought it home to the United States. It delighted everyone who used it and tasted the food. Up until then, the only grills available for outdoor cooking were the metal charcoal and gas grills. The additional juiciness and flavor that this “new” cooker gave to foods amazed everyone that sampled its cooking. When our Big Green Egg® store opened in Atlanta in 1974 we sold both the Japanese and Chinese kamados, and they rewarded their owners with great food. These kamados, made of fire-clay, were basically of the same design and material used for thousands of years. These original cookers became brittle after a few years of use, but until the development of the new Big Green Egg®, they were the very best cookers around. During the years we sold the kamado, our customers suggested many ways they thought the original kamado could be improved. WE LISTENED! We acquired our own factory and that gave us the opportunity to incorporate the best of these ideas. Our cookers, using these “Space Age” ceramics, are able to withstand temperatures higher than any you will ever need. Owners of the new Big Green Egg® can now sear their steak or fish at any temperature they choose without worrying about damage to the cooker. Surprisingly, our new ceramic also provides better performance at low temperatures. 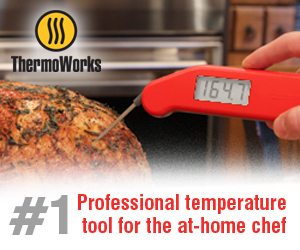 This allows you to smoke your foods slower, at very low temperatures. The precise construction of the BGE® gives you very accurate control over the cooking temperatures by simply adjusting the upper and lower drafts. The new Big Green Egg® thus has better combined smoker-grill capabilities than any of the oriental kamados and the ceramic, with reasonable care, will last virtually forever. The new Big Green Egg® is produced in our ultra modern, state-of-the-art factory in Mexico. Mexican expertise in high quality ceramics goes back over a thousand years, and they are justifiably proud of their tradition. Production of the high grade ceramics requires precise laboratory control and continuous monitoring assures each cooker produced will have the best combination of strength and cooking quality. Quality control is maintained throughout assembly — our artisans are dedicated to producing the World’s Best Grill and Smoker®. In addition to the right ceramic, we made many other important improvements to the design. We use heavy gauge metal, better hinge design, no-slip bands, a better draft door, and a heavy porcelain coated grill. A permanent non-toxic porcelain glaze, also a proprietary technology, is bonded to the ceramic. It will not fade or discolor, and is easily cleaned. In all, there have been thirty-four significant changes to our new Big Green Egg®. Twenty-one years of specialization in this business has made the new Big Green Egg® possible. Feedback from thousands of our customers told us how to make the Egg® better. So, thank you, old customers for your ideas. Many of you have accepted our offer to trade in your old cooker for the new. You’ll find what you wanted in the new Egg®. And, thank you, new customers, we know you will love your new heavy-duty BIG GREEN EGG®. If you are looking for a cooker that will give you extraordinarily good food—tender, tasty, succulent—then look no further. The new, heavy duty, Ceramic Big Green Egg.® is your ticket to new heights in Epicurean delights!